The wires give an extra sense of movement. 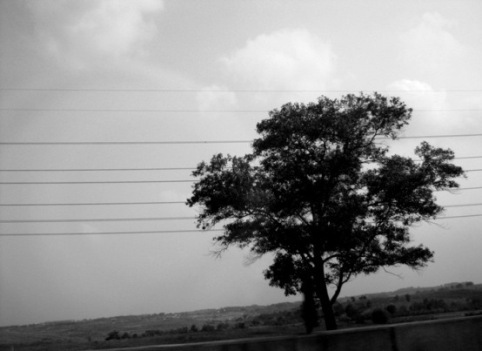 I agree with you,- I really like lonely trees in b&W! Nice picture in B & W. Greetings. Beautiful shot of the tree. The wires and the tree make an interesting composition. The shapes go very well together. Árvores são sempre encantadoras! Belo p&b, um abraço!